Home › SEO › Does Search Traffic Drop on Christmas and New Years? Does Search Traffic Drop on Christmas and New Years? For the last seven years I have been eyeball deep into managing, updating and maintained high trafficked websites. Some of these websites have gathered over 500,000 visitors in the month of December alone. While most people think December is the slowest month of the year for Internet searches it is important to remember that certain industries, especially retail, flourish and have their largest traffic month in December. That said, most business professionals will see a drastic drop in traffic from about December 23rd until January 2nd. This is the time of year in which most will take a vacation or take plenty of time off. They will only use their phones or tablets to look for sales and deals when making a purchase. Sports also see an uptick this time of year because it is college football bowl season. Remember that taxes do not get filed until April for many but some will start to research their finances in January and February. If you are a real estate agent, lawyer, orthodontist, doctor, bank owner, car salesman or business professional you will likely see a large drop in traffic for your website over the last few weeks of the year. 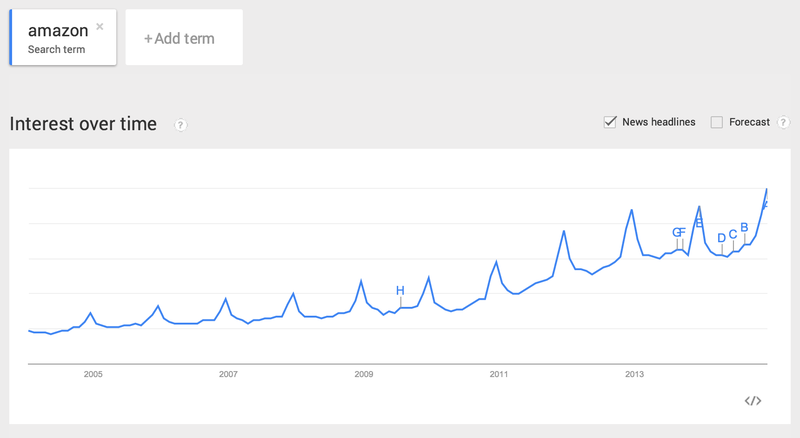 To better understand seasonal trends for your industry I would strongly suggest using the website Google Trends. Below is a photo that shows the seasonal trends for shopping on Amazon. Note that these are Google searches containing the keyword “Amazon”. You can clearly see that with the uptrend there is a huge jump in the months of November and December. That said, if you looked at Google Trends for “real estate” or “homes for sale” you would see a decline in the month of December. Before getting discouraged that your website is seeing a drop in traffic during Christmas and New Years please remember that each niche is different. If you would like to better understand what type of search traffic you should be getting feel free to reach out to me at jwojdylo@gmail.com. I have several monthly packages that can help business owners get more customers and clients through Google search. Funny Things Rednecks Say | Do Blog Comments Have Any SEO Value? I think it depend on the niche you are working like if you see the travel niche I am sure you see huge jump of traffic in December. I am managing a website of a client that offer leather jackets and December is one of the best month for them in term of traffic as their product is for winter. I agree, most businesses will see a drop in December traffic. It is unfortunate but very little can be done about it.